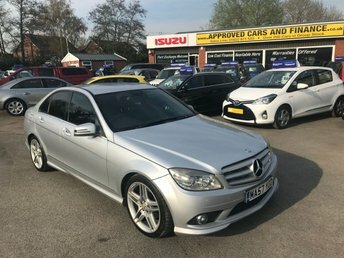 2013 MERCEDES-BENZ CLS CLASS 2.1 CLS250 CDI BLUEEFFICIENCY AMG SPORT 4d AUTO 204 BHP IN BLACK WITH BLACK LEATHER,REAR ENTERTAINMENT AND ONLY 52500 MILES. 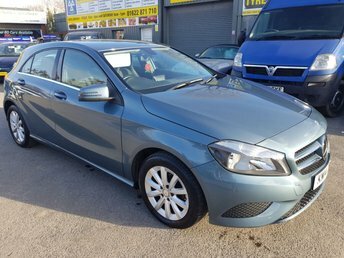 2014 14 MERCEDES-BENZ A-CLASS 1.5 A180 CDI BLUEEFFICIENCY SE 5 DOOR AUTOMATIC 109 BHP IN METALLIC BLUE WITH 39000 MILES. APPROVED CARS ARE PLEASED TO OFFER THIS MERCEDES-BENZ SL 5.0 SL500 2 DOOR AUTO 302 BHP IN SILVER WITH ONLY 69000 MILES IN IMMACULATE CONDITION IN SILVER WITH A FULL BLACK LEATHER INTERIOR,PANORAMIC ROOF,SAT NAV,UPGRADED ALLOYS AND MUCH MORE WITH A FULLY DOCUMENTED SERVICE HISTORY WITH EVERY BILL THAT THE CAR HAS HAD SPENT ON IT OVER THE YEARS. 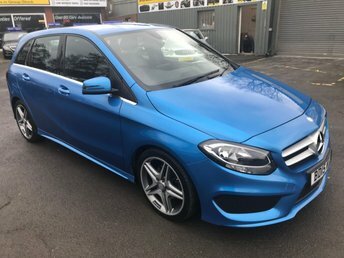 With a superb range of used Mercedes-Benz cars for sale in East Peckham to choose from, you should have no trouble finding a model to suit your lifestyle and budget. At Approved Cars Ltd (Approved Cars Izusu) we're committed to delivering excellent customer service and will always go further to ensure our customers drive away with a smile. If you're in the market for a sporty hatch like the Mercedes-Benz A-Class or require an elegant and supremely well-equipped executive model such as the C-Class Saloon, our team is here to help. Take the opportunity to browse our complete stock of pre-owned Mercedes-Benz cars here on the website and be sure to speak to a member of the team if you have any questions or wish to arrange a test drive.